Check out this Month's Daily, Weekly, Monthly Official (Not Made Up) Bizarre, Crazy, Goofy, Silly, Dumb, Strange, Wacky, Weird, Unknown, Respected & Traditional Holidays & Observances. The History of the Yaqui Easter Ceremony + Cartoon Fun! 100% Ad Free! = No banners, pop-up ads or carnival of affiliate buttons here. Recommend for ages 12 to adult. Not meant for pre-school or very young children! See our Website Policy! 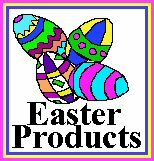 Don't forget to check out my store, "Holidays, Ham Radio & More." Below is a very small sample of what I offer. Also, this shows in British Pounds, but Zazzle is based in the US. Zazzle Will Ship Around The World! It Does Money Conversion Also. Shop In My Store From Any Country!